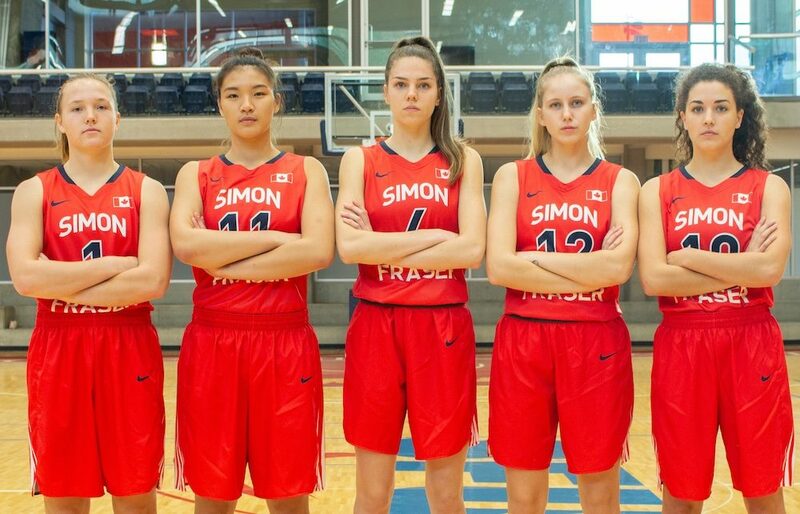 BURNABY — It’s hard to know with exact certainty, yet there was a chance on Thursday that Simon Fraser Clan head women’s basketball coach Bruce Langford put a group of five players on the floor together which represented the youngest of his entire 18-year university coaching career. Aside from taking care of business and winning a sixth straight GNAC contest, keeping the Alaska Fairbanks Nanooks (3-14 overall, 0-11 GNAC) winless with an 85-48 home court victory that represented the program’s second-largest margin of victory in NCAA conference play history, the Clan (12-6, 8-3) provided an early glimpse of how they might be led two-to-three seasons from now. With 2:21 remaining and the home team on top 81-46, Langford subbed in guard Sienna Lenz and forward Justina Chan. 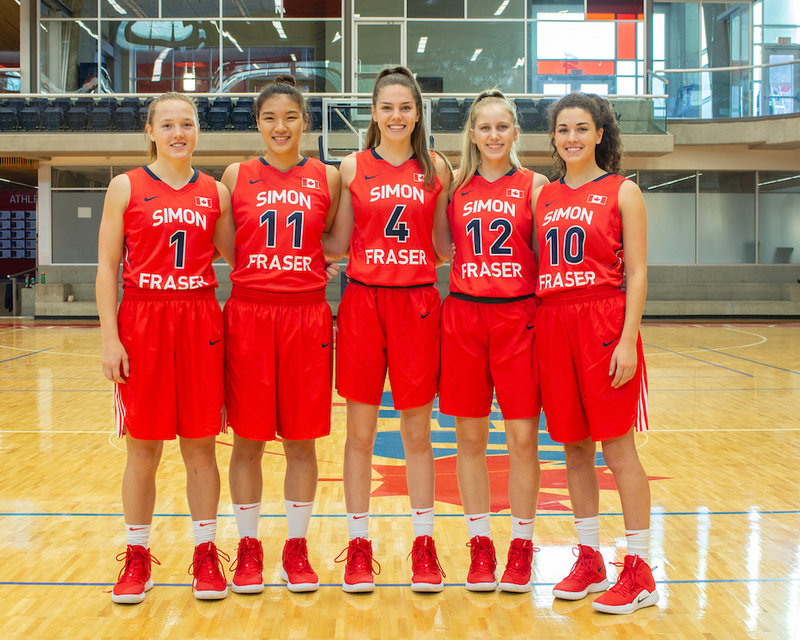 They joined forward Sophie Klassen, and guards Georgia Swant and Emma Kramer to give Simon Fraser a five-player group of which all were still playing high school basketball at this very juncture last season. “It’s funny because in the preseason, we played a scrimmage with all the rookies on one team, and it was a hot mess. It was bad,” chuckled Klassen, the 6-foot-1 guard from Chilliwack’s Sardis Secondary who is scaling a steep learning curve at NCAA Div. 2 by bringing her length and athleticism into the paint as more of a full-time post-forward. It’s likely back to spot duty for the quintet come Saturday (7 p.m., Clan TV) when D2’s No. 11-ranked Alaska Anchorage Seawolves (18-1, 10-1) bring an 11-game win streak to the top of Burnaby Mountain in a clash of two of the conference’s top three teams. With that in mind, Langford did not waste a second on Thursday as it applied to giving the five first-year players key extended stints throughout the course of the game before putting them all together over the late stages. He rewarded former Abbotsford Panthers’ guard Lenz (4 points, 5 rebounds, 1 assist, 1 steal in 13 minutes) and 6-foot Markham (Ont. )-Pierre Elliott Trudeau Trailblazers’ forward Chan (7 rebounds, 2 points in 10 minutes) for their exemplary practice habits by giving the pair key first-half floor time at a stage of the game where the Nanooks had come out and established a good early tempo. Kramer (5 points, 3 rebounds, 2 assists in 12 minutes), from Surrey’s Sullivan Heights Stars, as well as Swant (7 poins, 1 rebounds, 12 minutes) from North Vancouver’s Argyle Pipers, joined Klassen over the second half, and when the numbers from the quintet of pure freshmen were studied through the game’s final box score, the early returns were encouraging. The five rookies played a combined 60 of the 200 available minutes, and while they shot a lukewarm 8-of-23 combined from the field for 25 points, they were excellent on the boards, topping the seven vets combined per-minute production by grabbing 22 rebounds, almost half of the team’s overall total of 47. “I think we wanted to get the bench in a lot today and we had some injured players who needed to get some time off,” continued Langford who was able to keep stalwarts like team scoring, rebounding and minutes-player leader Sophie Swant, conference shot-block leader Sam Beauchamp, assists leader Tayler Drynan and forward Ozi Nwabuko, returning from ACL surgery, all at 20 minutes or under. The minutes were so balanced in fact that sixth-player Kendal Sands led the team with 25 minutes. And while you might not think it all too significant, coming as it did in the team’s largest margin of GNAC victory since an 80-38 shellacking of Western Oregon back in December of 2012, there were other factors which needed to be considered. First, consider the potential bounce-back. Simon Fraser women’s basketball is coming off only the second double-digit loss season (9-11) of its eight previous NCAA conference campaigns, and yet with five pure freshman active within its rotation, it has within its grasp, the opportunity to challenge its best-ever GNAC regular-season marks (15-3 in 2012-13, 15-5 in 2016-17). And second, because there are only three players (Sophie Swant and Beauchamp in 2019, Drynan 2020) set to depart via graduation over the next two seasons combined, the five freshmen are in an ideal position to assimilate into larger roles over their coming sophomore and junior campaigns. On Thursday, when the stage was finally all theirs, it was far from perfect. Yet this time around, it wasn’t exactly a hot mess either. Kramer grabbed an offensive rebound, eventually dishing to Georgia Swant for a three-point bucket. Lenz grabbed another offensive board, this time off a missed Klassen free throw, and fed Klassen whose shot from beyond the arc fell just short. Overall, it was a young group of players just beginning to find its collective groove, and likely wishing the game was just beginning instead of ending. Five-player freshmen classes haven’t been the norm for the SFU women’s program since Langford took over at the turn of the century. Yet the last time he brought one in this large, prior to the 2016-17 campaign, he didn’t hesitate to call it the best of his career. The difference is that due to either numbers, development or injury, three members of the 2016 incoming group took redshirt seasons, and currently four remain. The junior Drynan, and redshirt sophomores Nwabuko, Jessica Jones and Claudia Hart comprise that group, and along with seniors Sophie Swant and Beauchamp, and 2017’s Sands, comprise the backbone of the team. On Thursday, the new wave showed that while it’s early, they’re not backing down from eventually carving their own niche. “I like getting rebounds because it makes you feel powerful,” said Chan, whose seven caroms led the team. “The past couple of games, I would get a minute, maybe four minutes, so today to get 10 minutes, it’s the best feeling ever.